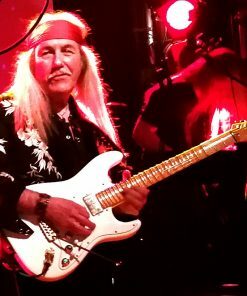 For those of you who love the Strat – and to celebrate the occasion of Uli’s 50th Stage Anniversary later this year – we are offering a genuine SKY SUPER STRAT, which combines the body shape of the Strat with the power and flexibility of a Master Series Sky Guitar! The SKY SUPER STRAT comes with the most powerful pick-up system there is: the MEGA WING III. 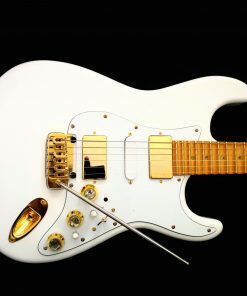 The body shape is vintage Strat, while the neck is exactly like that of a Sky Guitar, elegant and slim, but it has only 23 frets, just like Uli’s legendary main white Strat from the Scorpions and Electric Sun days. Boris built a beautiful prototype which sounds totally amazing which Uli will personally showcase on some the ELECTRIC SUN songs during his up-coming North American TRIPLE ANNIVERSARY TOUR.